Have you, a family member or friend been charged with a crime in Mercer Island, WA? If so, it’s important to know that the prosecution has a team of lawyers who will be seeking the maximum sentence. You need to act fast to hire a criminal defense lawyer who has the skills and experience needed to help you achieve the best possible outcome during this stressful time. 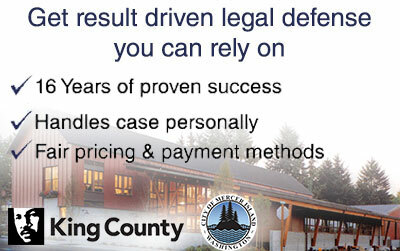 When it comes to hiring a Mercer Island criminal defense attorney, know that you have choices. You could gamble with a public defender, spend big bucks on a big-name lawyer, or you could hire me, Schoen Parnell, an experienced, affordable private criminal lawyer in Mercer Island, Washington. For more than 16 years, I’ve worked to help people like you deal with the stress and hardship of facing criminal charges. I understand that this is likely one of the most difficult situations you’ve ever dealt with, and I’m here to help. As a member in good standing with the Washington Association of Criminal Defense Lawyers, The National College of DUI Defense and the Washington Defender Association, I’ve earned a reputation for being a tireless defender of my clients. I have a proven track record of achieving ‘not guilty’ verdicts at jury trials for charges ranging from DUI to Murder 1. If you’d like to learn more about how I can help you, call me to book your free consultation. 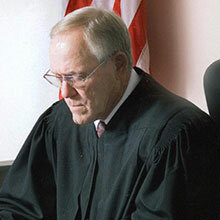 I’ll review your case and discuss your defense options – before you pay a single cent. If you are arrested by a Mercer Island city police officer for a misdemeanor your case will be filed in the municipal courthouse located in City Hall. Mercer Island does not have its own criminal prosecutor, instead it contracts with a private law firm named Moberly & Roberts. I have had success in dealing with this particular law firm. They represent a number of other cities in King County who also do not have their own prosecutors office like; Kirkland, Issaquah and Woodinville. Arrests considered “state cases” play out a little differently then ordinary municipal charges. A charge is considered a state case if it is a felony offense or an arrest is made by a county or state agent. King County Sheriff Deputies and WA State Troopers fall into this category of “arresting agents” that qualify as arrests made by the state. Misdemeanor and gross misdemeanor charges such as driving under the influence (DUI) will have charges filed at the King County District Court’s East Division in Issaquah. However if you are arrested in Mercer Island and are charged with a felony offense your case will be heard in the King County Criminal Superior Court located in downtown Seattle. Mercer Island has a low violent crime rate however; due to the fairly low BAC limits set forth by the state driving under the influence (DUI) charges are still somewhat common occurrences. It’s no secret WA DUI penalties are some of the harshest in the country. Mercer Island in 2014 was ranked as the 17th in highest DUI expense for the state ranging between $6,737.00 and $10,796.50. Your bank account is not the only thing that takes a pounding from a DUI conviction. Both your driving privileges and freedom are at risk of being lost too. It is important for you to speak with an experienced Mercer Island DUI lawyer within the first 20 days of being charged to increase your chances of protecting your driver’s license from suspension. WA State has also made 4th time DUI offenses considered a felony where you face some seriously life-changing penalties. I represented one of the first felony DUI cases that went to trial. I have countless hours fighting for the rights of my clients facing DUI charges, schedule a consultation with me find out what options you have and how I can help. At stop light take a right and another immediate right onto SE 36th Street (this road parallels the south side of the freeway). The Municipal Court is located in City Hall, the third building on the left. Take Exit #8, East Mercer Way. At the stop sign turn left, this road carries you over the freeway. Get in the right hand lane and turn right onto SE 36th Street (this road parallels the south side of the freeway). If you have any questions about your arrest in Mercer Island, WA don’t hesitate to contact me.